by the way a society treats their animals. Northern Chautauqua Canine Rescue, Inc. ( NCCR ) is a non-profit rescue group formed to help the neediest dogs and puppies in our area — the strays, the orphaned, the abandoned. To rescue and provide sanctuary for stray and abandoned dogs and puppies and do our best to secure for each of them permanent, loving, responsible homes. To promote respect and compassion for all creatures through humane education. To reduce pet overpopulation by increasing public awareness of the need to spay and neuter companion animals. 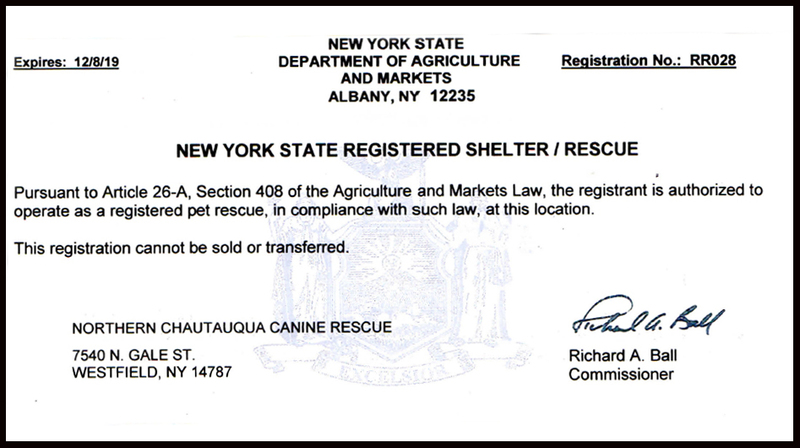 To maintain and operate a shelter for dogs and puppies. NCCR is a no-kill shelter. 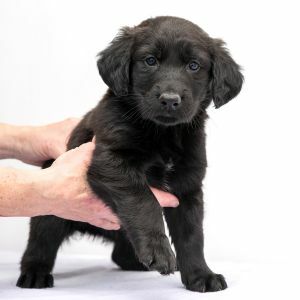 If we are unable to find a home for a dog, we work with other shelters to place that dog in a home. Euthanasia is only a consideration if a dog is terminally ill or violent. We are a 501(c)3 non-profit organization. All donations made to NCCR are tax deductible to the extent allowable by law. All proceeds from donations go strictly toward the care of our dogs. We are a volunteer-run group and rely solely upon donations as we receive no government funding. We’re here to help you form a lifelong relationship with a friend and provide a life that, for some dogs, has never been known.